MOJO teamed with Mr. Turkey himself, Preston Pittman, world-champion turkey caller and expert turkey hunter, to develop this full-body, full-motion turkey decoy. 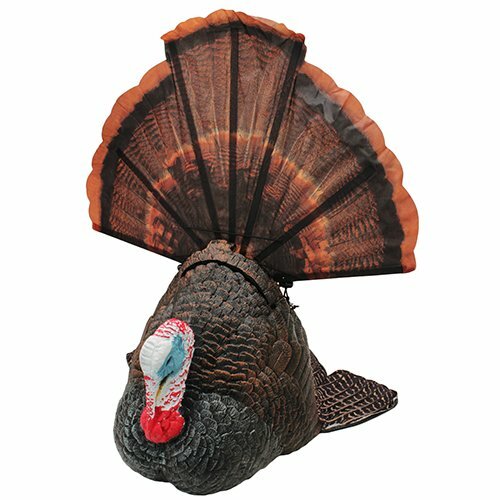 This lifelike motion decoy naturally draws a gobbler's attention to the decoy spread and away from the hunter. A remote control allows you to raise and lower the decoy's tail while simultaneously turning its body from 150 ft. away. Operates on four AA batteries (not included) and mounts on a 2-ft. steel stake that can also be stored inside the decoy's body. Includes a blaze orange carry bag. If you have any questions about this product by MOJO Outdoors, contact us by completing and submitting the form below. If you are looking for a specif part number, please include it with your message.